One of the key driver and enabler for the Enterprise Digital Transformation is Industrial Internet of Things. Whether it be the factory of the future where a digital footprint of the factory can track and detect key machine functions, and proactively detect faults; hospitals where machines can effectively collect and analyze data for better patient outcomes. The reality for enterprises is that many of these processes have some level of technology, such as SCADA systems in the manufacturing sector, but the systems are closed, hard to extend, hard to integrate, and expensive to maintain. IoT is transforming the industry with open standards and tools, commodity hardware, large developer community making “connecting all things” a reality. This model is easily adopted by consumer IoT, such as home security systems, consumer tools, and gadgets. Industrial IoT presents complexity that is far more dynamics. This includes multiple existing legacy technologies, existing integrations, different types of enterprise scenarios. Two architecture patterns are emerging for development of Industrial IoT systems. One is based on web services stack, and the other based on OMG Industrial IoT standards. So how do CIO’s and technology leaders decide what technology stack and patterns to adopt? This session will discuss categories of Industrial IoT, and how and which architectural patterns address those categories. It will give a clear path for CIO’s and technology leaders on when to adopt what pattern, how they work together and make solid decisions based on the business needs of the enterprise’s digital transformation. Yogi Sikri is a global product manager at DXC.Technology, responsible for developing & taking to market key solutions within the Workplace & Mobility business unit. Recently in the area of IoT, Yogi has been driving the Enterprise services strategy and focused on helping key customers to adopt IoT in Industrial and Enterprise scenarios, and building solutions that leverage existing Enterprise Assets and bring in new IoT capabilities to solve new business areas. Yogi has been a Mobility expert and a product/solution manager with DXC Technology (and Hewlett Packard Enterprise (HPE) since 2007, and has launched 7 products and solutions. Yogi is an avid speaker, and has led 50+ CXO speaking events. His latest article in July 2016 for the CIO Magazine (tinyurl.com/yogimcio), discusses the role of BYOD and the impact in IoT in the enterprise. 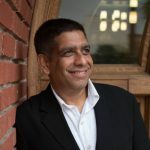 Before joining HPE, Yogi was a Technology Leader and Architect at Bluestone since 1995, which was a startup that enabled the transformation of Legacy Enterprise and Consumer systems to Web-based systems, driven by J2EE Middleware technology and an IDE for building Internet-based services.